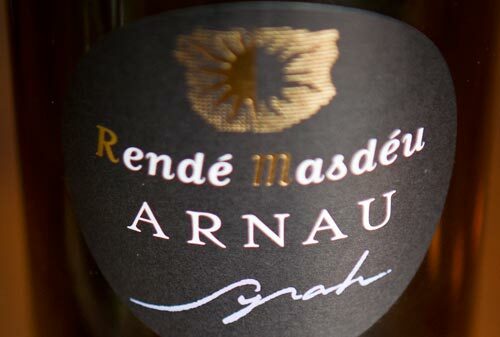 Rendé Masdéu is one of those Conca de Barberà wineries to take note of. We’ve slowly been expanding our palates in this region, taking note first of Vins de Pedra and moving on from there. Rendé Masdéu isn’t a newcomer though. They fully modernized their cellar in 1991 but have evidence that the family was producing wine since the early 17th century. Many of their vineyards are planted around the Monastery of Poblet (a UNESCO heritage site) in the village of l’Espluga de Francolí about 5km west of Montblanc and a bit over two hours from Barcelona by train. Like many of the Conca de Barberà wineries, they work to have a bit more freedom with the grapes that they grow and have many French varietals alongside the traditional Catalan varieties. Their Syrah is a bottle to taste for those that may need to restore confidence in this grape who might be otherwise be Syrah-fatigued given the shiploads of low-end bottles from many New World producers.